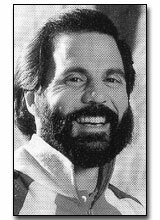 Gary Mazaroff was elected to the American Amateur Racquetball Association’s Hall of Fame in 1995. In 22 years, the 1968 Hamilton High School graduate has won more than 300 championships in state, regional, national, and international Racquetball competition, including: the National Doubles Championship (30+ Division) in 1991; four World titles (1989, 90,94,95)--two titles in Men’s 35+ Division, and two in Men’s 40+ Division; as well as the Men’s U.S. National Doubles (30+) championship in 1991. Eight times in Singles and seven times in Doubles, the Los Angeles-born racquetballer has captured the Open championships in the State of New Mexico. In 1986, he was a member of the United States National Racquetball Team. As a coach and instructor, Gary has served as: U.S. Olympic Festival Coach in 1989, 1990, 1994 and 1995; and U.S. National Team Assistant Coach 1987-90. His other coaching assignments include: the Argentina team for the 1991 Tournament of the Americas, the Bolivian team for the 1992 World Championships, and the team of the Dominican Republic for the 1993 Central American & Caribbean Games.